Here we are at the end of our 12th season, and what a wonderful season it has been. Before I dive into a long list of thanks, I want to remind you that this week’s distribution is also an end-of-season potluck. We hope that all of you can join us, even for a short while, to get to know each other a little better, enjoy each other’s company, and share some food to celebrate the end of the CSA season. Please refer to the invitation email I sent last night for more details. It has been such a joy this year to serve all of you! I really think this has been the most wonderful group of shareholders we have ever had. You have all been so passionate about the produce and so patient and understanding of the inevitable bumps we encounter throughout the season. Our growers have really felt your appreciation for their work and have loved growing the produce that you have enjoyed all season long. Thank you for showing up week after week to enjoy the fruits of their labor! Of course it wouldn’t be possible without the amazing people who spend day after day in the field growing, weeding, and harvesting all that delicious produce. 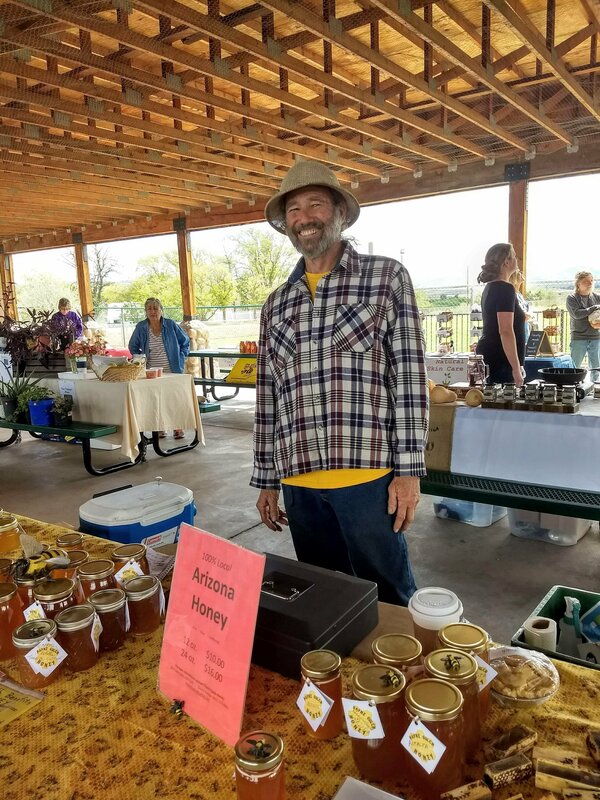 We are so grateful to all the farmers who have supplied our CSA this season: the entire crew at Whipstone Farm, Hope, Hilary, and Denise at Willowbrook Farm, Robert at Verde Run Farms, Steve and Marilyn of Marilyn’s Orchard, Frank at Windmill Gardens, Bill at Payne Gulch Honey (in your basket this week! ), Marshall and Kevin at Sunnyside Farm, Christie and Doug at Fasteen Farms, Ramona and Dave of Sanders’ Farm, and Bob Haskell. It is incredible what these dedicated individuals, families, and teams are able to accomplish. 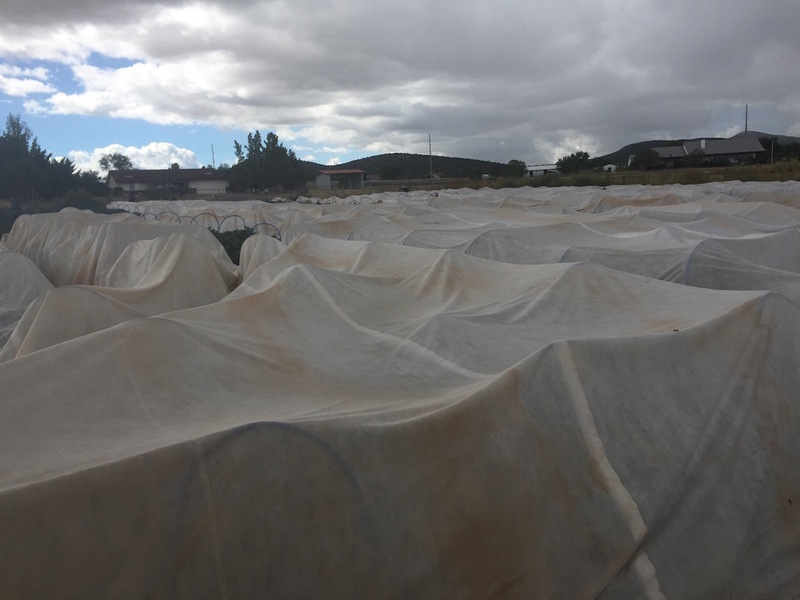 Arizona is not the easiest place to farm and we are so lucky that we have such a terrific network of local growers to fill our bellies. 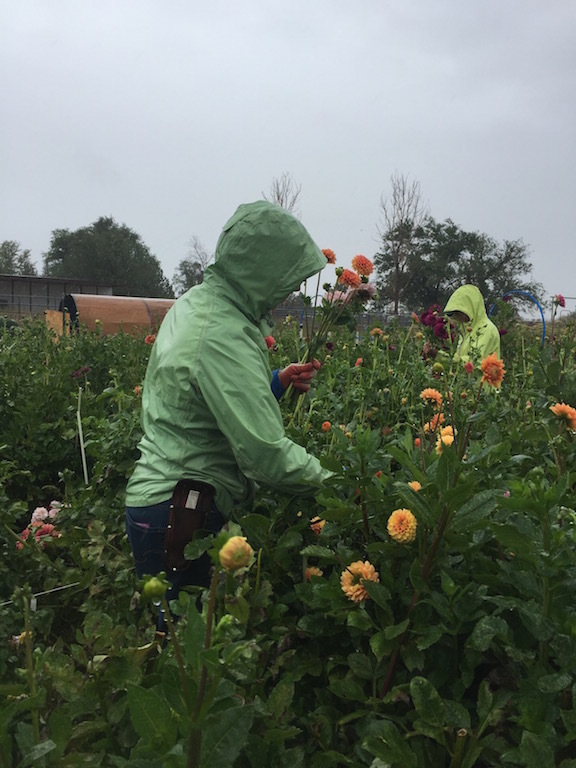 There is more to the CSA than growing though, so we must also show gratitude to our generous volunteers who show up every week to distribute your produce, sometimes in torrential downpours! Thank you to Jon and Jeanette in Sedona, and to Skip and Terri and Hope, Hilary, and Denise in Cornville for braving all kinds of weather and giving up their Wednesday afternoons to fill our weekly baskets. Last, but not least, Hilary is not just a farmer and distribution volunteer, she also handles all of the bookkeeping for the CSA, including placing every week’s produce order, paying farmers, and keeping us in the good graces of the IRS. Her hard work shows that farming is more than field work! She is a great partner and I couldn’t send these weekly emails without all of her hard work behind the scenes. We hope to see you all again next season. The CSA has become such a wonderful community for me and many of my friends and we love seeing your faces year after year. If you haven’t signed up already, you can download the contract on our websiteor pick one up at distribution. I will be opening up registration to the public in November, so please reserve your share before then to ensure your spot next year. It really helps our farmers (and me) to know how many shareholders are returning. Thank you for joining us this season! The peppers at Whipstone Farm have been nicely tucked in to keep warm. Harvesting no matter the weather. 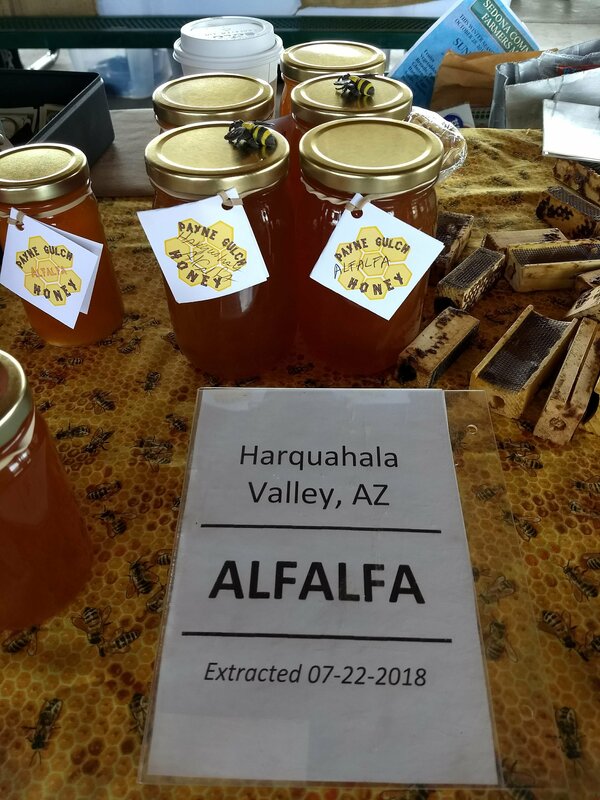 Bill of Payne Gulch Honey. This is the honey you’ll be receiving this week. Yum!